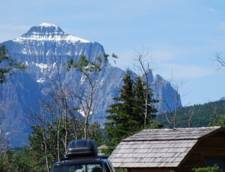 Saint Mary / East Glacier KOA is located just minutes from the eastern entrance of Glacier National Park and the Going to the Sun Road. 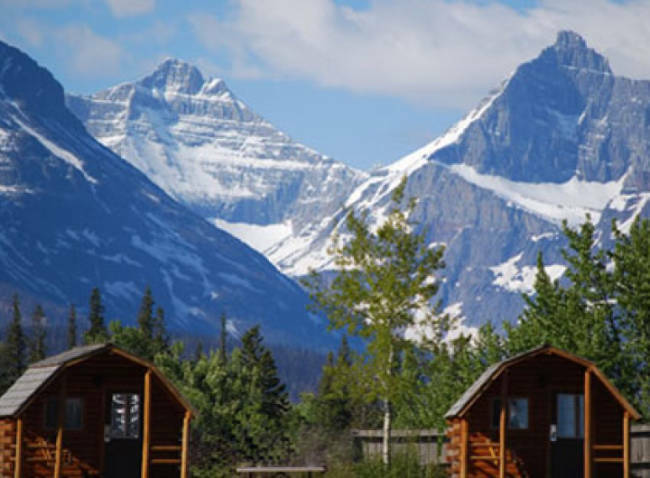 This property offers some of the best views of Glacier's pristine mountain peaks, spacious and well-appointed cabins, and top-notch amenities. 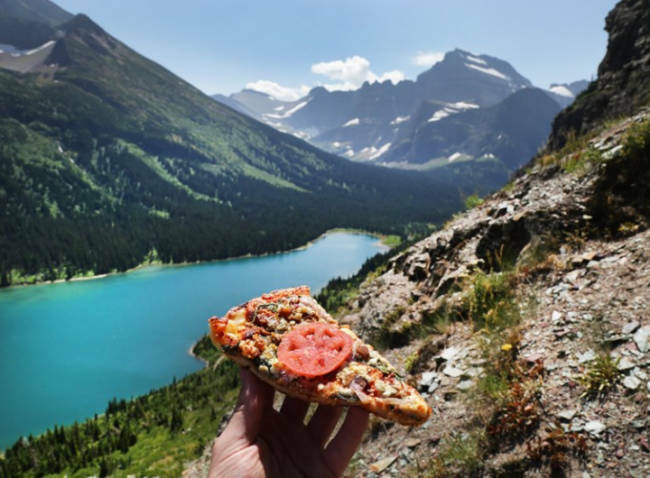 This truly is the perfect lodging choice for those looking to just relax and take in the view or for the adventurists, looking to hike the abundance of trails on the east side or kayak one of the many lakes in the area. 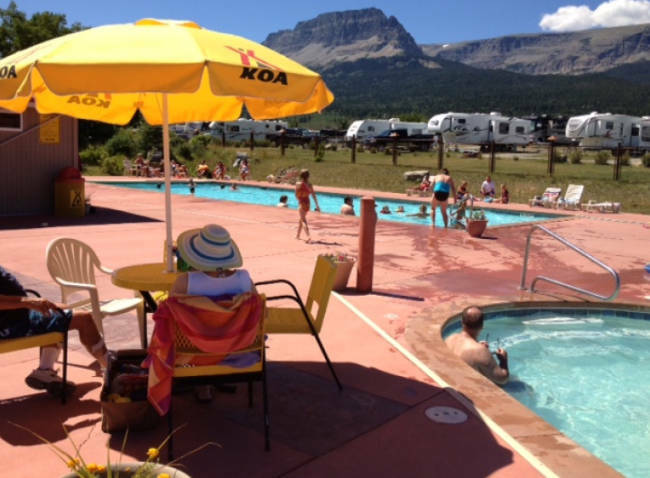 At Saint Mary / East Glacier KOA, the amenities are endless. After a day of exploring in the parks, relax in the outdoor pool and hot tub or enjoy a game of horseshoes or bocce ball. Turn the kids loose in the splash park or the playground or enjoy a paddle around St Mary Lake straight from the property by renting a kayak or stand-up paddleboard. 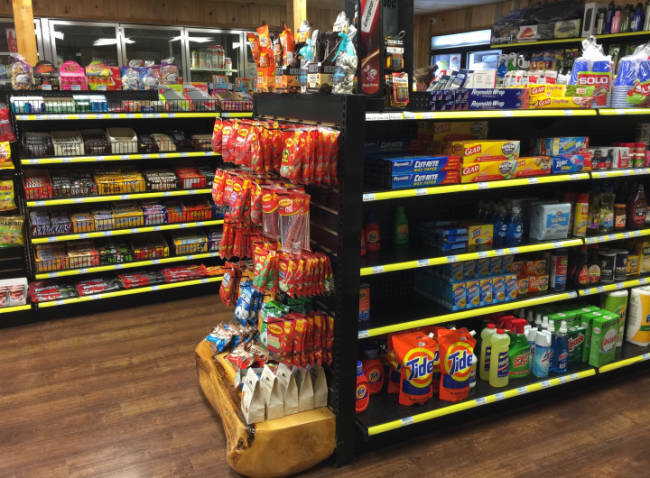 Also located on site is a restaurant, well-stocked convenience store, gift shop, coffee shop, ice cream shop, coin-operated laundry facilities, complimentary bike rentals, and dog sitting. 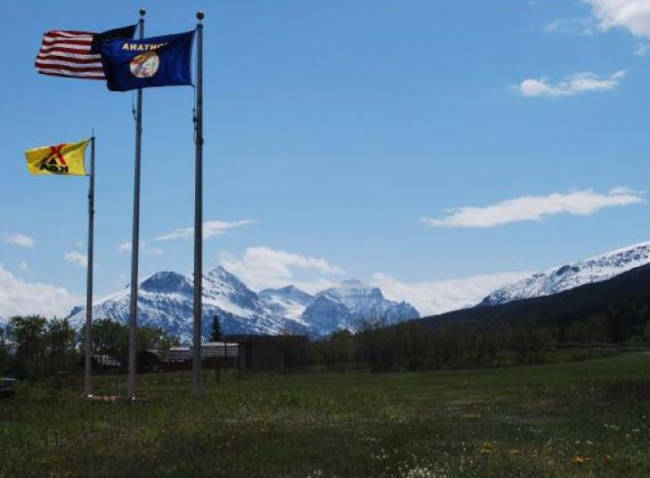 Pets are not permitted on any trails within the park, however, Saint Mary / East Glacier KOA accepts pets in all cabins and also offers daily pet sitting and kenneling for an additional fee. Enjoy your day in the park with the peace of mind knowing your furry kids are being well-cared for while you're away. 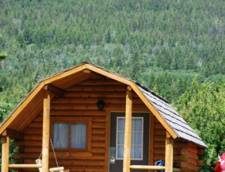 Cabin accommodations range from economic camper cabins with shared bathrooms to 5-star deluxe cabins complete with multiple bedrooms and bathrooms, full kitchens and fantastic views. 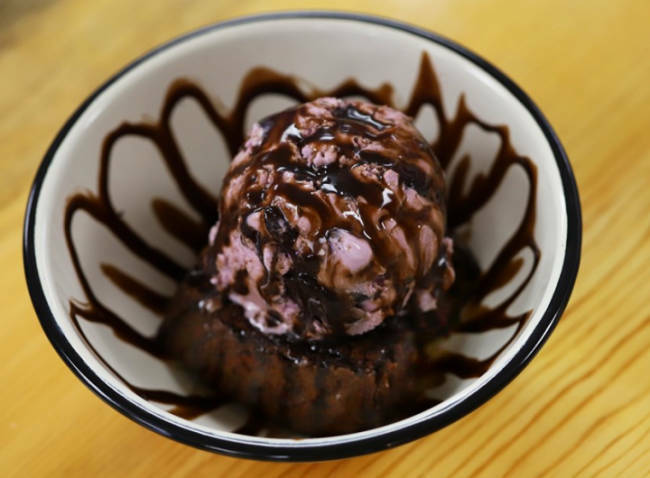 All cabins include outdoor picnic tables, gas grills, and campfire rings, perfect for roasting marshmallows under the night sky or having a summer BBQ. 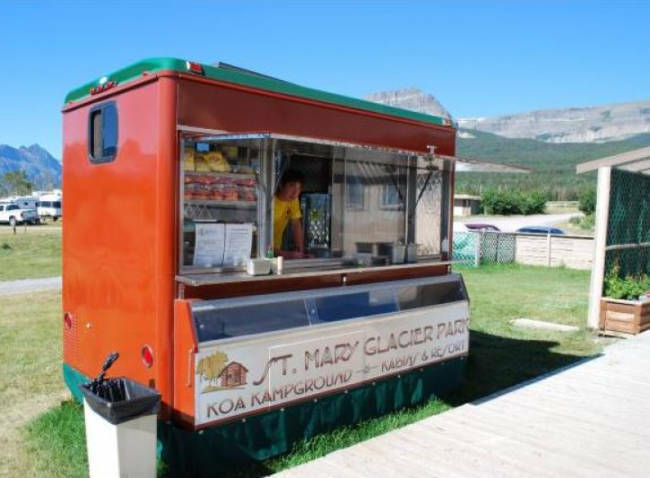 There is something for everyone at Saint Mary / East Glacier KOA and it truly is one of the best options to make as your home base during your Glacier Park vacation. 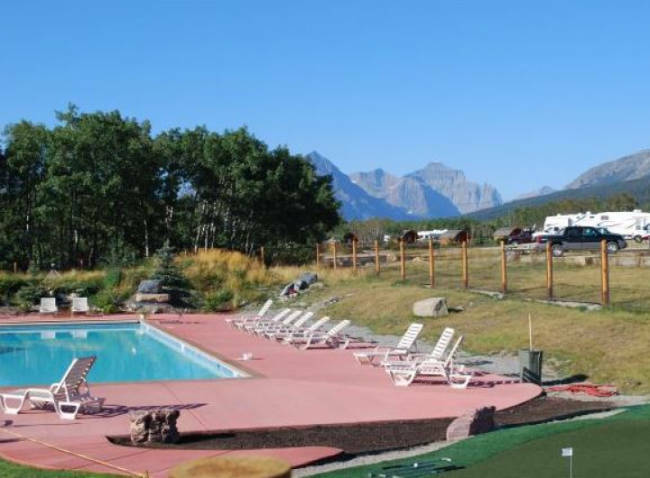 Saint Mary / East Glacier KOA is seasonally open from mid-May through the end of September and certain dates require 2 or 3-night minimum stay. This Deluxe Cabin can sleep up to 6 people, perfect for couples traveling together or larger families. It includes 2 bedrooms, each with 1 queen bed and a sitting area with a full-size sleeper sofa. Plush linens are provided and amenities include one full bathroom, one-half bathroom, fully equipped kitchen, furnished patio, picnic table, campfire ring, and gas grill. This Deluxe Cabin provides not only room to spread out, but also fantastic panoramic views of Glacier's east side. This cabin can sleep up to 8 people with a queen size bed in one bedroom, a twin-over-twin bunk bed in another bedroom, two twin beds in the upstairs loft and a full-size sleeper sofa in the sitting room. Plush linens are provided and amenities include a full bathroom, fully equipped kitchen, furnished patio, picnic table, campfire ring, and gas grill. This Deluxe Cabin is perfect for a romantic retreat or a family with small children, sleeping up to 4 people. This cozy cabin includes one full-size bed in the bedroom and a full-size sleeper sofa in the living with plush linens provided as well as a kitchen, full bathroom, and furnished patio. 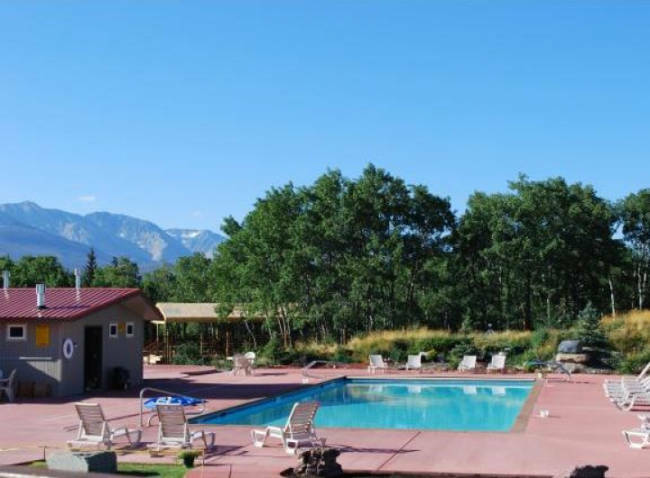 This is a great alternative to a typical hotel stay with its added amenities and room to relax and enjoy the sounds of the surrounding aspen trees in the breeze. This Deluxe Cabin is a fantastic option for groups traveling together with 2 bedrooms and 2 bathrooms and sleeps up to 10 people. This spacious cabin features breathtaking views of Glacier's mountain peaks from the furnished patio so be sure to bring your camera! Plush linens are provided and there is a queen size bed in one bedroom, two twin-over-full bunk beds in the other bedroom and a full-size futon in the sitting room. 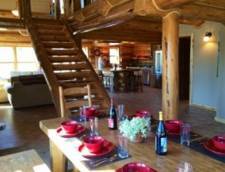 Other amenities include a fully equipped kitchen, picnic table, campfire ring, and a gas grill. This Deluxe Cabin features handicap accessible amenities and a spacious, studio-style floor plan. 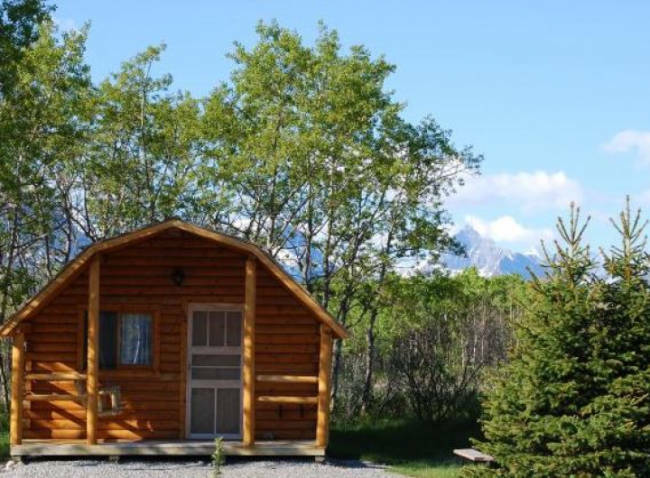 It sleeps up to 4 people with a twin-over-twin bunk bed and full-size futon and includes a mini-fridge, microwave, plush linens, picnic table, campfire ring, gas grill and front patio for you to sit back, relax and enjoy the sound of the rustling aspen trees. The Big Sky Lodge is the largest accommodation on site with some of the best views. This beautiful log cabin can sleep up to 11 people with ample gathering space in the living and dining rooms and it features breathtaking views from the front deck and out of its large picture windows. Plush linens are provided and bedding includes 3 queen size beds, one full-over-twin bunk bed, and 2 queen size sleeper sofas as well as two full bathrooms. Other amenities include a furnished backyard patio, fully equipped and large kitchen, picnic table, campfire ring, and gas grill. 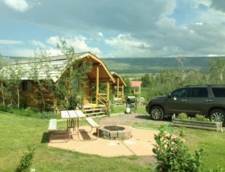 The 2 Room Camping Cabins are perfect for groups traveling together and looking for economic rates as well as comfort. These spacious cabins can sleep up to 6 people with two twin-over-twin bunk beds in one room and a full-size bed in the other room. 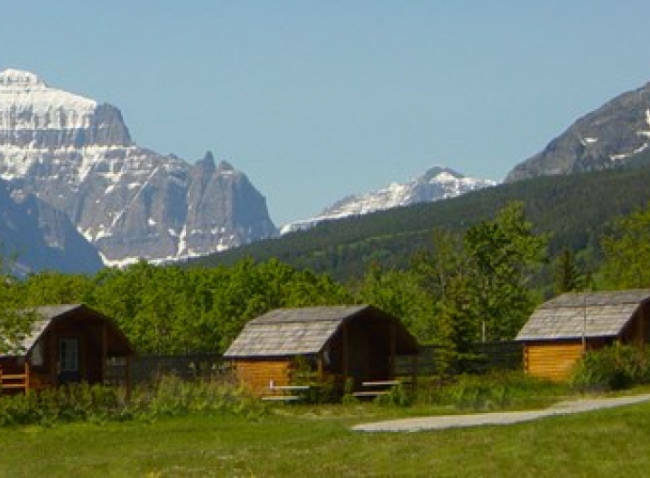 These cabins utilize communal bathrooms a short walk from the cabins and although memory foam mattresses are provided, guests are required to bring their own linens. Amenities in these cabins include a microwave, mini-fridge, front porch with porch swing, picnic table, and campfire ring. The 1 Room Camping Cabins are the most cost-efficient accommodations on site and offer a stress-free stay nestled in the aspen trees. These studio-style cabins can sleep up to 4 people with a twin-over-twin bunk bed and one full-size bed and utilize communal bathrooms a short walk from the cabins. Although memory foam mattresses are provided, guests are required to bring their own linens. Other cabin amenities include a microwave, mini-fridge, picnic table and campfire ring. To guarantee your stay a deposit equal to your first night will be charged to your credit card at the time you make your reservation for camping cabins. 100% deposit for deluxe cabins. 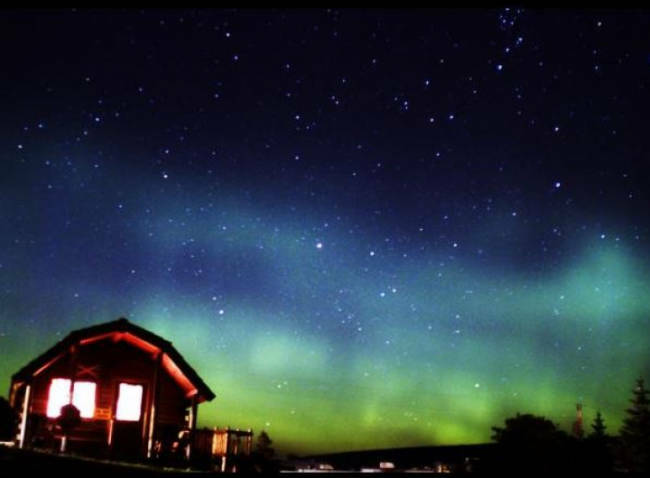 Deluxe cabin lodging requires cancellation 60 days prior to arrival date to receive a refund of the deposit (less a $25 fee). Cancellations received within the 60 day period will forfeit the entire deposit. Camping cabins require cancellation 7 days prior to arrival date minus $10 cancel fee, after 7 days forfeit one night deposit. If you register for your deluxe lodging and opt to change your stay, there will be no refund of unused days. Holidays and special events may have a special deposit and/or cancellation requirements. 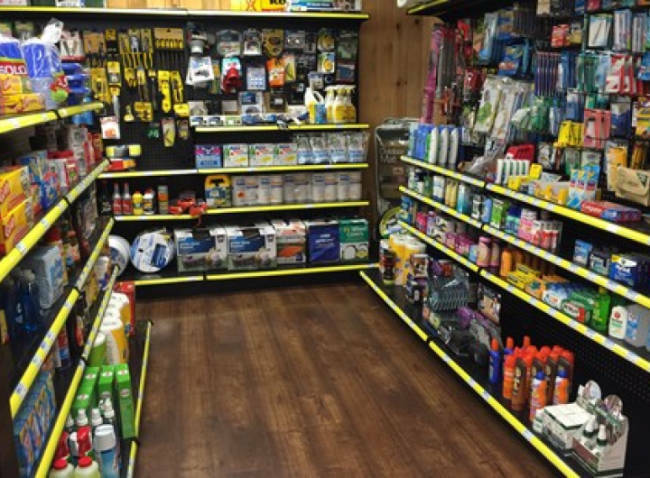 Special conditions may apply during high-demand periods and special events. $25 per stay for deluxe lodging; $10 per stay for camping cabins. An increasing number of travelers bring their dogs along for the trip only to find that pets are not allowed on the trails in the Park. We offer pet sitting at your site for $20 which includes two visits. Visits include a walk, a water refill water, and food if necessary. $10 for each additional pet. The kennel is $70/day and the pet must be picked up by 6 pm. Two dogs may rent one kennel for an additional $20. Kennel reservations should be made in advance due to limited availability. Please bring current vet records. Barking dogs will not be permitted in kennels without a bark collar. No aggressive dogs. Rates Policy: Rates based on double occupancy. Extra guests 12 and under stay for free, 13 to 18 are an additional charge of $5 per night and any guest 18 and over are an additional $10 per night. 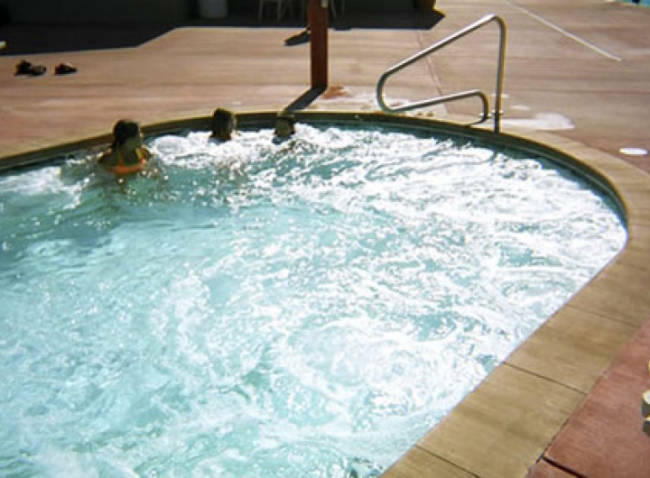 July and August have 2-night minimums on deluxe lodging.